As someone who attended the recent TCEA Convention & Exposition, you understand the learning potential of 3D technology. Makers Empire helps schools maximise the learning potential of 3D technology, cover Design & Technologies curriculum, and teach Design Thinking, STEM concepts and 21st-century learning skills. 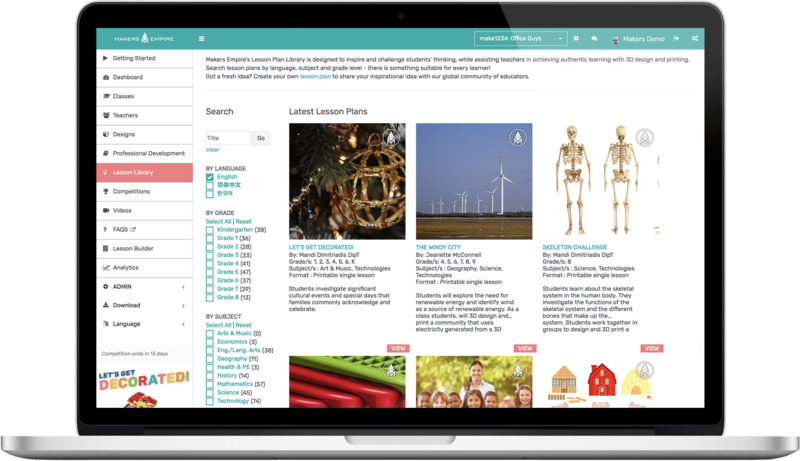 Teachers are supported by comprehensive resources, easy to use software and class management tools, professional development, and ongoing support provided by Makers Empire’s customer service team. 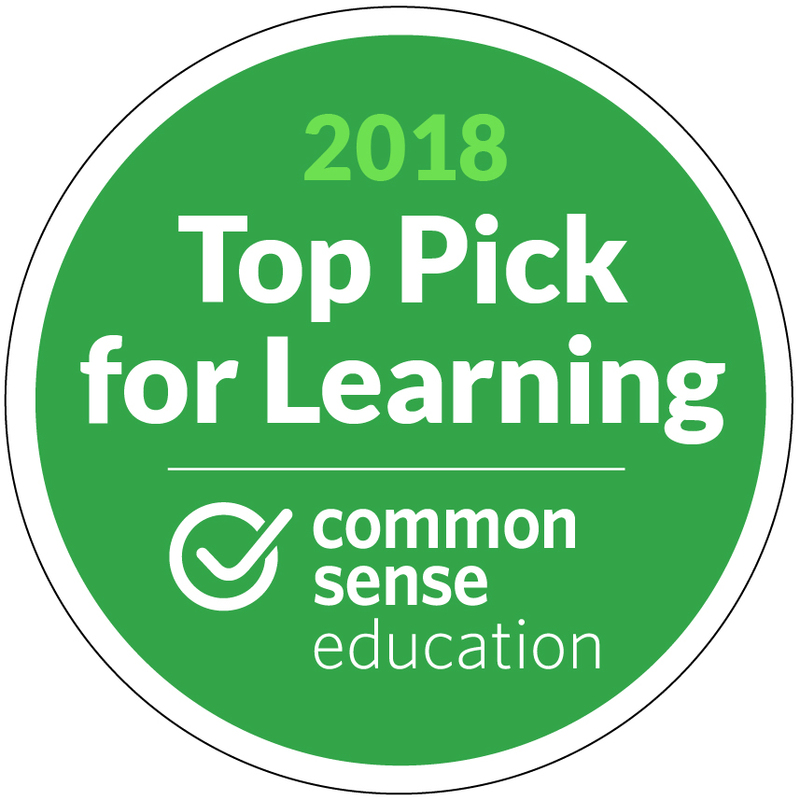 Common Sense Education recently ranked Makers Empire second out of 180 EdTech products reviewed for their Best EdTech of 2018 List. 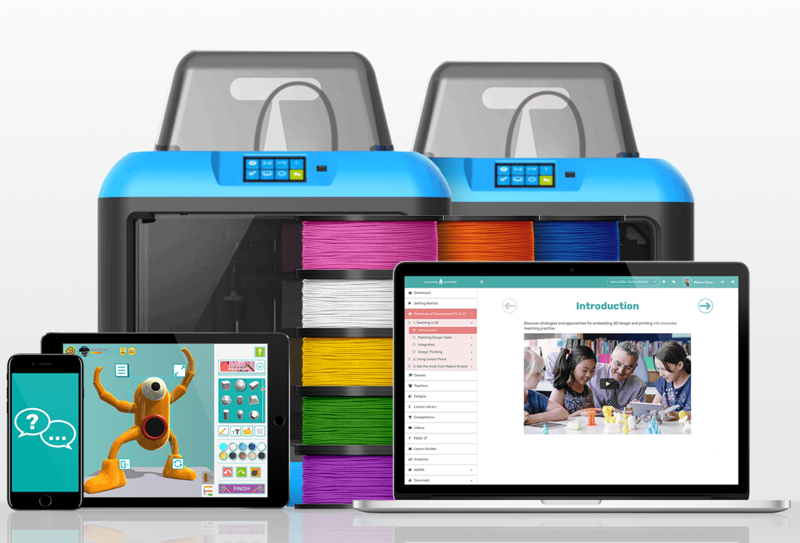 Receive up to 25% off the usual price when you purchase a Makers Empire’s School Subscription or Makers Empire 3D Printer Package. Use this special discount code — TCEA2019 — when requesting a quotation for Makers Empire to qualify. This offer won’t last so request a quotation today! Makers Empire is designed for grade K-8 students. If purchase is part of a program or special offer, please enter (discount) code. Who referred you? We'd like to send them a thank you. 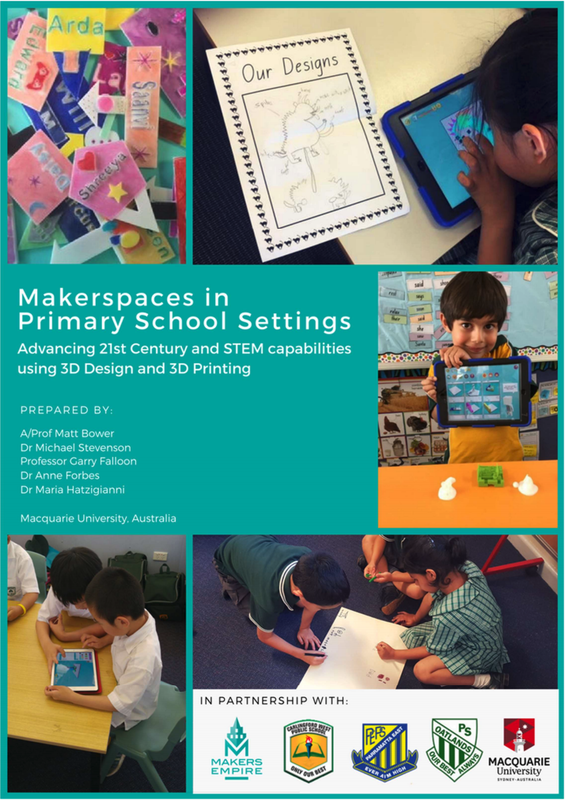 Makers Empire’s Learning by Design course was the subject of a recent Macquarie University research study on makerspaces in primary school settings. The research study examined how maker activities using 3D design and 3D printing technology could enhance learning and teaching outcomes. The recently published research study report reveals the compelling benefits of this type of learning for primary educators and showed that makerspaces can be highly effective at developing children’s creativity, critical thinking, design thinking and digital skills. Students were highly engaged with the 3D technology, and the idea of solving genuine design challenges – it helped boost their confidence and resilience when dealing with setbacks, particularly for those less capable students. Teachers became more comfortable with technology, and more collaborative and flexible in their teaching. All of the 24 classroom teachers who participated in the focus group expressed a desire to integrate 3D design-based makerspaces into their future classes. Start designing in 3D in minutes – no CAD experience necessary! 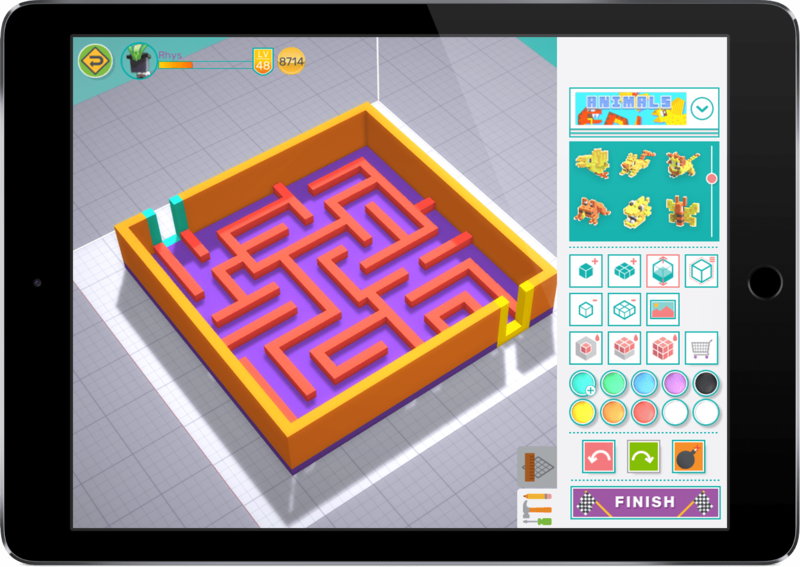 Makers Empire 3D works on all devices and can be used by students as young as 4 years old. Makes organising students and classes a breeze! Monitor your students’ progress, leave feedback on their designs and reward their good work. Be guided, supported and inspired by our expert learning team. Makers Empire’s innovative curriculum gives you an engaging and powerful means of teaching design and technology curriculum and offers exciting opportunities to develop your student’s design thinking skills. Makers Empire curriculum is aligned to the Common Core State Standards, ISTE Standards for Educators, Next Generation Science Standards and The Australian Curriculum. Gain a deeper understanding of the exciting field of Maker Pedagogy. Learn how to meaningfully integrate 3D design and printing in your classroom. Be inspired by the transformative power of Design Thinking. Our self-paced, on-demand, 13-part professional development series designed for teachers by teachers makes it easy! You shouldn’t need to be a tech expert to be able to utilise 3D design and printing in your classroom. Our friendly support team provides ongoing and timely support whenever you need it so you can keep doing what you do best – teaching! “...when I started using Makers Empire with the kids they really took to it. I think that we had 5,000 designs within a month’s time! I had seven classrooms at the school using it. And I had other teachers saying, ‘I really want to get in on this. I want to try this with our kids,’... Clearly, Makers Empire was a hit!... What is really nice about Makers Empire is it’s the first time that the students are actually creating something (original). We’ve had a 3D printer and stuff going on four or five years now. Previously, the students didn’t really create (anything) original... But with Makers Empire, when they were all finished, each student had all of these different unique creations... I feel like Makers Empire is a game changer for 3D design for our kids. There’s a lot of software out there but Makers Empire has incorporated so many different features. With the challenges and then the tutorials built in, no one else has that." "The software is easy to use and kid friendly... The curriculum has been great and it even fits into the objectives that I am currently teaching... When we first started using the curriculum I thought it was going to be a huge task getting my students to learn this. But instead of teaching, I have become a facilitator. They have really taken off and are helping each other solve problems. When we end our day I may about 20 designs that were created, but when we start the next day I see that number increase to about 50. They are even designing at home." "I have worked with several design software but Makers Empire is the easiest to use... One of the best things students learned is that it is okay to not get the "right" answer the first time, or second time. Students know that "failing" is part of the design process and problem solving. Students have expanded their problem solving skills to think more outside of the box... Before, my students were limited in their STEM applications and designs due to financial issues and materials available. Now each student is able to have an account for their designs and can work at their pace which is meeting them on their individual need. Through this, my after school STEM club has gained interested to where students had to be put on a waiting list. Students have discussed participating in STEM clubs in middle school and high school as well as more interest in engineering type careers." 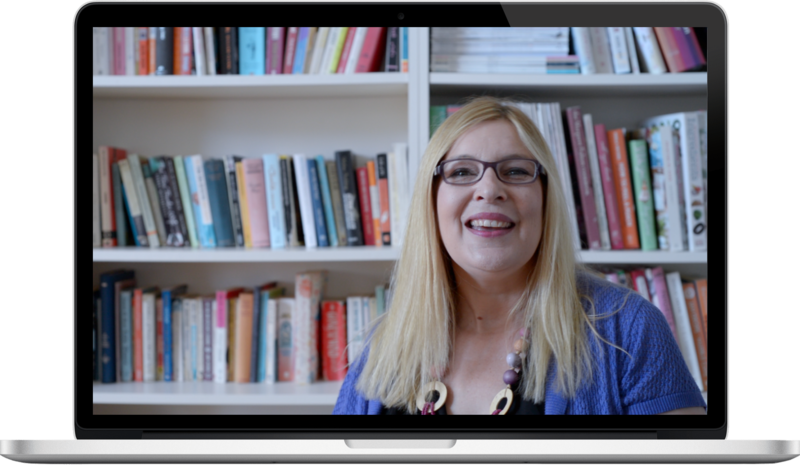 "This has been a wonderful new way to teach and motivate my students. They are so eager and excited to learn in this new way!... They are beginning to see real-life implications to what they learning to do in class and how they could develop prototypes of objects that they could develop and then produce to sell... At first, I preferred Tinkercad because I knew this software better. However, now that I have had some time to work with Makers Empire it is so much better. It does a much better job of showing you how to build and create. The challenges help tremendously!...The overall enthusiasm towards school and learning has increased tremendously. Students who are typically reluctant learners have come to life. One student was chronically absent and has now improved his attendance. He asks me each morning if he can get on the computer!" Makers Empire is recommended by distinguished educators, specialist teachers, technology integration consultants, education reporters and 3D printing specialists. Plus, Makers Empire received a glowing, 5-star review from Common Sense Education and was ranked second in their coveted Best EdTech of 2018 List. Receive up to 25% off the usual price when you purchase a Makers Empire’s School Subscription or Makers Empire 3D Printer Package. Use this special discount code —TCEA2019 — when requesting a quotation for Makers Empire to qualify. This offer won’t last so don’t delay – request a quotation today!